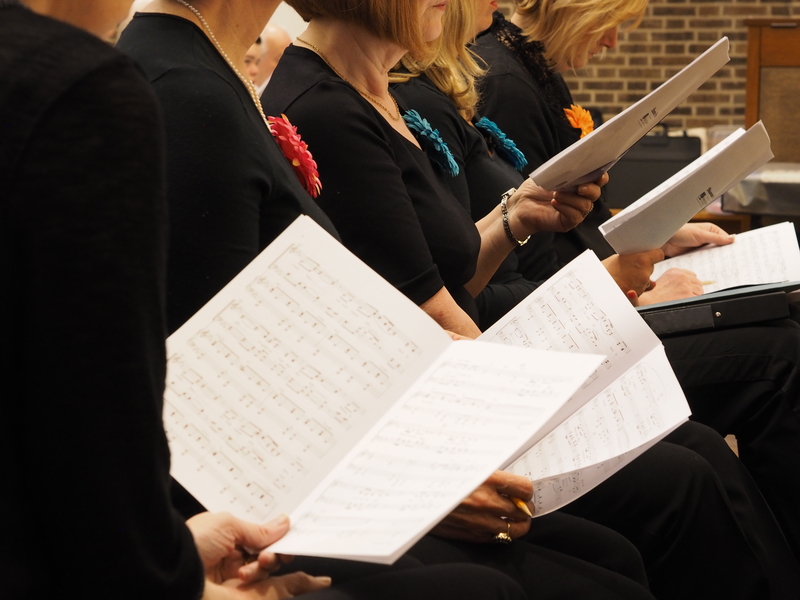 We are a mixed adult SATB (Soprano, Alto, Tenor, Bass) choir and rehearse on Wednesday evenings at the Central Methodist Church Hall, Pixmore Way, Letchworth from 7.45pm until 10.00pm. Music is provided to all members, although being able to read music is not a requirement. 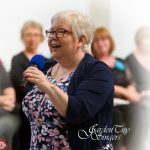 Our Musical Director Natalie Carter and Pianists Janet Burchell and Martin Goodchild, take time to go through everything step by step until everyone is confident. 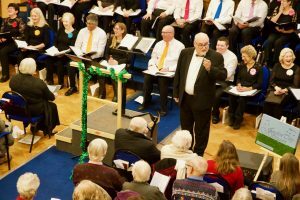 Over the last few months Nat has been excited to share leading with Stuart Elliott, latterly of Luton Male Voice Choir, and you’ll see him in some of our photos. 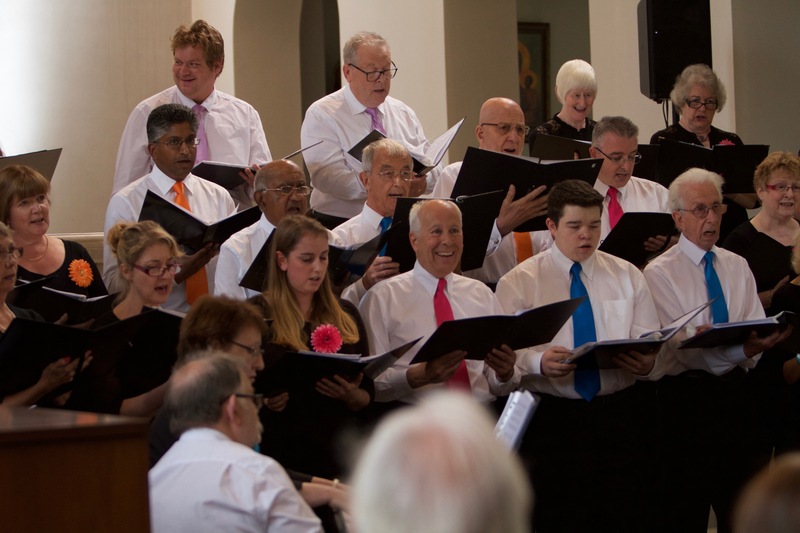 Singing in harmony with other people is a wonderful experience and much easier than we first thought! We enjoy our rehearsals in a low-pressure atmosphere. There is time for laughing as well as singing. Currently, we only have space for lower voices, especially Basses. 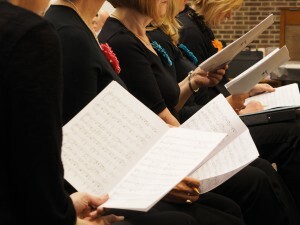 If you would like to join or know a friend or family member that you think would enjoy meeting up with a really friendly group on a Wednesday evening singing some lovely and varied types of music, please use the link below to contact us. Prospective members are assured of a warm welcome and no auditions are required. Our guest MD Stuart Elliott – plus sprout! And to Laurence Abrahams, both of whom have taken some lovely photographs for us!